WALNUT CREEK, Calif. & LOUISVILLE, Ky.
"Our partnership is well aligned with John Muir Health’s efforts to increase access, focus on preventive care and, when needed, deliver the right care at the right time and in the most appropriate setting for our patients." 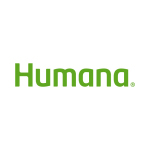 WALNUT CREEK, Calif. & LOUISVILLE, Ky.--(BUSINESS WIRE)--Humana Medicare Advantage members in Contra Costa County now have access to value-based care, thanks to a partnership between John Muir Health and health and well-being leader Humana Inc. (NYSE: HUM). The arrangement is designed to offer a more proactive and wellness-focused health care experience for Humana’s Medicare Advantage members. This value-based agreement unites John Muir Health and Humana around the common goal of achieving the triple aim of improving the health of Humana Medicare Advantage members served by John Muir Health, improving the patient experience of care (quality and satisfaction), and reducing the cost of care. Under the terms of this agreement, both organizations will benefit financially if the health of this population improves. Doctors will also be rewarded financially for high-quality care. Transitioning to value-based payment models means that physicians are reimbursed for the health outcomes of the patients they serve. By focusing on quality and health, Humana experienced 18 percent lower costs in total in 2014 for members who were treated by providers in a value-based reimbursement model setting versus original fee-for-service Medicare. John Muir Health has also participated in several value-based programs, including the Medicare Shared Savings Program ACO. John Muir Health was a top performing Medicare ACO in California and the only participant in California to achieve shared savings for the 2014 performance year. John Muir Health and its physician network, one of the largest medical groups in Northern California, offers more than 1,000 primary care and specialty physicians. Humana’s Medicare Advantage members will have in-network access to John Muir Health affiliated physicians and facilities, including its Concord, San Ramon (partner with Tenet Healthcare) and Walnut Creek hospitals, multiple outpatient centers and other ancillary services. As part of the agreement, John Muir Health and Humana will develop strategies to improve the health of Humana’s Medicare Advantage members in Contra Costa County, lower costs, and manage the ongoing health needs of the population. John Muir Health will collaborate with Humana to manage prescriptions, follow up on patients who miss appointments, and identify at-risk patients so they can receive the right care before requiring serious medical attention. Patients will also benefit from wellness programs and improved screening and monitoring for chronic conditions such as diabetes and heart disease. Nationally, Humana has nearly 30 years of accountable care experience, including approximately 1.7 million individual Medicare Advantage and 200,000 commercial members, cared for by more than 47,800 primary care physicians in more than 900 value-based payment relationships across 43 states and Puerto Rico. Currently, approximately 61 percent of Humana individual Medicare Advantage members are in value-based payment relationships. Humana’s goal is to have 75 percent of individual Medicare Advantage members in value-based payment models by 2017. For more information, visit humana.com/accountable-care or humana.com/valuebasedcare. John Muir Health is a nationally recognized, not-for-profit health care organization east of San Francisco serving patients in Contra Costa, eastern Alameda and southern Solano Counties. It includes a network of more than 1,000 primary care and specialty physicians, nearly 6,000 employees, medical centers in Concord and Walnut Creek, including Contra Costa County’s only trauma center, and a Behavioral Health Center. John Muir Health also has partnerships with San Ramon Regional Medical Center, UCSF Health and Stanford Children's Health to expand its capabilities, increase access to services and better serve patients. The health system offers a full-range of medical services, including primary care, outpatient and imaging services, and is widely recognized as a leader in many specialties – neurosciences, orthopedic, cancer, cardiovascular, trauma, emergency, pediatrics and high-risk obstetrics care. For more information, visit www.johnmuirhealth.com.